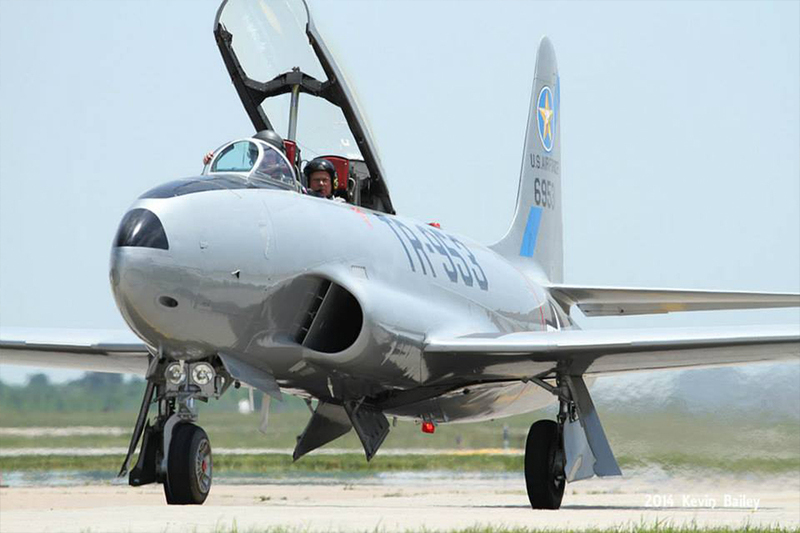 The Collings Foundation's T-33 Shooting Star based in Houston, TX is being restored back to pristine condition just as it would have looked in its service in the 1950's and 1960's. The T-33 proved itself as a durable and rugged aircraft that truly stood the test of time in an era when new jet designs were constantly being introduced and taken out of service. One of the most well-known jet fighters and trainers in the history of the US Air Force, the T-33 and its variants enjoyed a long service history in the United States and even still act as active aircraft in many air forces of the world. A design stemming from the famed Lockheed “Skunk Works” and the work of Kelly Johnson, the T-33 proved itself as a durable and rugged aircraft that truly stood the test of time in an era when new jet designs were constantly being introduced and taken out of service. The Collings Foundation’s T-33 Shooting Star based in Houston, TX is being restored back to pristine condition just as it would have looked in its service in the 1950’s and 1960’s. Countless volunteer hours from our fantastic crew is making sure that the T-33 is available for the 2007 Airshow season. Click on the icon above to find out how the T-33 can bring history to your event.